For those who are in 3rd-5th grade this 2018-2019 school year. For those who are in 6th-8th grade this 2018-2019 school year. (The District is offering a $25 scholarship to the first 75 campers to register). Due to significant transition with many youth pastors and a camp leader, a higher cost at the camp we have been using, and the challenge of finding another camp site, we will not be having an organized camp for high schoolers sponsored by our district. 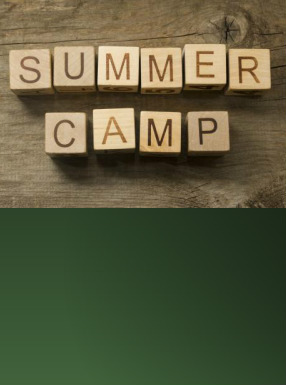 Never the Same Camp (Cost: $330) – this is hosted at Indiana Wesleyan University and they provide 1 week on their Marion, Indiana campus to see transformation in the lives of students, preparation for youth ministries and connection that synergizes youth ministries. They do this on 2 different dates, so you have an option of when to go. We realize this is quite a distance, especially for our northern churches. However, Red Cedar has taken groups to these and it has been a great experience. Click here for more info - https://www.indwes.edu/news/2018/05/iwu-hosts-never-the-same-camps. The district will provide a $50 scholarship to the first 50 who register. Iowa-Minnesota Camp (Cost: $275) – the Iowa-Minnesota Camp, held June 16-21, has graciously invited our high schoolers to their camp. This may, actually, be closer in distance for some of you than the camp site we were at. The district will also provide a $50 scholarship to those who register for the camp. (Iowa-Minnesota will have first preference, but they anticipate being able to have approximately 40 extra spaces).